On March 23, 2018, a Tesla Model X car crashed into a freeway divider, killing the driver, causing a fire and shutting down two lanes of Highway 101 near Mountain View, Calif. The National Transportation Safety Board is currently investigating the crash. The National Transportation Safety Board has released a preliminary report detailing the fatal crash involving a Tesla Model X in March. The crash also resulted in a fire and shut down two lanes of Highway 101 near Mountain View, Calif. At this point, the NTSB has yet to determine a probable cause of the crash and is continuing to investigate the accident. The report says the Model X, while in Autopilot mode, sped up to 71 mph in the seconds leading up to the crash. “At 3 seconds prior to the crash and up to the time of impact with the crash attenuator, the Tesla’s speed increased from 62 to 70.8 mph, with no precrash braking or evasive steering movement detected,” the report states. Tesla’s Autopilot mode is designed to match the speed of a slower vehicle traveling ahead of it. At the time, Autopilot was set to 75 mph, according to the NTSB. A Tesla spokesperson declined to comment but pointed me to its March blog post, where the company describes how the driver’s hands were not detected on the wheel for the six seconds prior to the collision. The NTSB confirmed that in its preliminary report today. Walter Huang, the owner of the car who died as a result of the crash, had previously taken his car into the Tesla dealership, saying his car had a way of veering toward the exact barrier his car hit, ABC7 reported. Tesla, however, previously said it has no record of Huang complaining about Autopilot. Tesla says it willingly withdrew from the party agreement with the National Transportation Safety Board, adding that the NTSB is more concerned with “press headlines than actually promoting safety,” a Tesla spokesperson told TechCrunch via email. This comes after the NTSB said it revoked Tesla’s party status in the investigation regarding the fatal crash involving one of Tesla’s Model X cars. The NTSB said it did so because Tesla, without permission from the NTSB, relayed information to the public regarding the investigation. Tesla went on to note the prevalence of automotive fatalities in the United States in comparison to fatalities involving cars with Autopilot. Tesla says for every 320 million miles cars equipped with Autopilot drive, there is one fatality, including known pedestrian fatalities. That’s compared to one fatality for every 86 million miles driven for all vehicles, Tesla said. “If you are driving a Tesla equipped with Autopilot hardware, you are 3.7 times less likely to be involved in a fatal accident and this continues to improve,” the spokesperson said. Tesla also alleges its “clear in our conversations” with the NTSB that it cares less about safety and more about press headlines. When reached for comment pertaining to Tesla’s claims, the NTSB says it stands by the press release it issued earlier and has nothing to add. Meanwhile, the NHTSA says its investigation is ongoing. In light of Tesla going a bit rogue and disclosing details of the fatal crash that involved Autopilot, the National Transportation Safety Board is removing Tesla as a party in the investigation. This is not too surprising, given the NTSB said it was “unhappy” with Tesla following its March 30 disclosure that Autopilot was engaged during the crash. Losing party status means Tesla is no longer able to provide technical assistance to the NTSB. As the NTSB notes, having party status is a “privilege” that enables two-way information sharing. The NTSB says it’s rare to revoke party status, but that it has happened before. While Tesla is no longer an official party, the NTSB says it expects Tesla to cooperate with any future data requests. While Tesla is no longer a party in this specific case, the company is still working with the NTSB in other investigations, like the one pertaining to a crash in Lake Forest, California and one in Culver City. On Wednesday, Tesla provided Bloomberg with a statement implying Tesla willingly withdrew from the party agreement. Last week, in a conversation with the NTSB, we were told that if we made additional statements before their 12-24 month investigative process is complete, we would no longer be a party to the investigation agreement. On Tuesday, we chose to withdraw from the agreement and issued a statement to correct misleading claims that had been made about Autopilot — claims which made it seem as though Autopilot creates safety problems when the opposite is true. In the US, there is one automotive fatality every 86 million miles across all vehicles. For Tesla, there is one fatality, including known pedestrian fatalities, every 320 million miles in vehicles equipped with Autopilot hardware. If you are driving a Tesla equipped with Autopilot hardware, you are 3.7 times less likely to be involved in a fatal accident and this continues to improve. It’s been clear in our conversations with the NTSB that they’re more concerned with press headlines than actually promoting safety. Among other things, they repeatedly released partial bits of incomplete information to the media in violation of their own rules, at the same time that they were trying to prevent us from telling all the facts. We don’t believe this is right and we will be making an official complaint to Congress. We will also be issuing a Freedom Of Information Act request to understand the reasoning behind their focus on the safest cars in America while they ignore the cars that are the least safe. Perhaps there is a sound rationale for this, but we cannot imagine what that could possibly be. When tested by NHTSA, Model S and Model X each received five stars not only overall but in every sub-category. This was the only time an SUV had ever scored that well. Moreover, of all the cars that NHTSA has ever tested, Model S and Model X scored as the two cars with the lowest probability of injury. There is no company that cares more about safety and the evidence speaks for itself. Tesla provided some more details on Friday about the fatal crash involving one of its Model X vehicles, but the National Transportation Safety Board isn’t particularly happy about that, The Washington Post first reported. That’s because those involved in an NTSB investigation are required to inform the Board of information releases before doing so. Last week, Tesla said Autopilot, the company’s semi-autonomous mode that can change lanes and maintain proper vehicle positions and safe speeds, was engaged in the moments leading up to the crash. While Tesla and the NTSB have made some early observations, there’s still more work to be done as part of the investigation. The NTSB, for example, still needs Tesla’s help to decode the data the vehicle recorded and ultimately determine the “probable cause” of the crash, NTSB spokesperson O’Neil told the Post. The investigation has also expanded to look into the concerns the driver had previously expressed about Autopilot. Walter Huang, the owner of the car who died as a result of the crash, had previously taken his car into the Tesla dealership, saying his car had a way of veering toward the exact barrier his car hit, ABC7 reported last week. Tesla, however, says it has no record of Huang complaining about Autopilot. Tesla declined to comment on the NTSB’s concerns. Tesla has provided another update to last week’s fatal crash. As it turns out, Tesla said the driver had Autopilot on with the adaptive cruise control follow-distance set to minimum. However, it seems the driver ignored the vehicle’s warnings to take back control. The promise of Tesla’s Autopilot system is to reduce car accidents. In the company’s blog post, Tesla notes Autopilot reduces crash rates by 40 percent, according to an independent review by the U.S. government. Of course, that does not mean the technology is perfect in preventing all accidents. As Tesla previously noted, the crash was so severe because the middle divider on the highway had been damaged in an earlier accident. Tesla also cautioned that Autopilot does not prevent all accidents, but it does make them less likely to occur. In the past, when we have brought up statistical safety points, we have been criticized for doing so, implying that we lack empathy for the tragedy that just occurred. Nothing could be further from the truth. We care deeply for and feel indebted to those who chose to put their trust in us. However, we must also care about people now and in the future whose lives may be saved if they know that Autopilot improves safety. None of this changes how devastating an event like this is or how much we feel for our customer’s family and friends. We are incredibly sorry for their loss. This development, of course, comes in light of a fatal accident involving one of Uber’s self-driving cars in Tempe, Arizona. 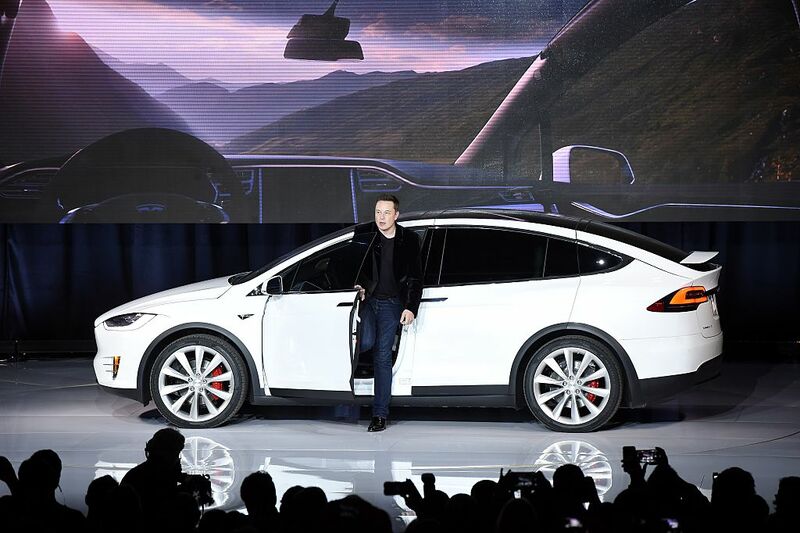 Tesla has shed some more light on the fatal crash and fire involving a Model X car last week. In a blog post tonight, Tesla said it’s not yet clear what happened in the time leading up to the accident. Tesla also said it does not yet know what caused it. Tesla did note that, according to its data, Tesla owners have driven that same stretch of Highway 101 with Autopilot engaged about 85,000 times since Tesla first rolled out the automated control system in 2015. Since the beginning of this year, Tesla drivers have successfully handled that stretch of the highway 20,000 times, according to Tesla. “The reason this crash was so severe is that the crash attenuator, a highway safety barrier which is designed to reduce the impact into a concrete lane divider, had either been removed or crushed in a prior accident without being replaced,” the company wrote. Below, you can see what the barrier was supposed to look like versus what it looked like the day before the accident. As previously reported, the accident also caused a fire. In the event there is a fire, Tesla says its battery packs are designed so that people have enough time to get out of the car. Earlier today, the National Transportation Safety Board announced it is conducting an investigation into the accident, which killed the driver and resulted in a fire. 2 NTSB investigators conducting Field Investigation for fatal March 23, 2018, crash of a Tesla near Mountain View, CA. Unclear if automated control system was active at time of crash. Issues examined include: post-crash fire, steps to make vehicle safe for removal from scene. The United States National Transportation Safety Board is conducting an investigation into a fatal car crash involving a Tesla Model X car. On March 23, a Tesla car crashed into a freeway divider, killing the driver, causing a fire and shutting down two lanes of Highway 101 near Mountain View, Calif. It’s not clear if Tesla’s automated control system, Autopilot, was active at the time of the crash, the NTSB said in a tweet. “We have been deeply saddened by this accident, and we have offered our full cooperation to the authorities as we work to establish the facts of the incident,” a Tesla spokesperson said in a statement to TechCrunch. This investigation comes shortly after a fatal accident involving one of Uber’s self-driving cars in Tempe, Ariz. prompted the NTSB to send over a field team. According to the NTSB’s most recent update, the team was meeting with representatives from Uber, the NHTSA and Tempe Police Department. The department also said it was gathering and collecting information about the test vehicle’s technology, the pedestrian and the safety driver. Last year, the NTSB looked into a 2016 accident involving Tesla’s Autopilot system in Florida. The NTSB partially faulted Tesla for the fatal crash, saying the system operated as intended but that the driver’s inattentiveness, due to over-reliance on the Autopilot system, resulted in the accident.